Comment: We have a second house that we have used as a guest house. We'd now like to rent it out. It has a cement footing and dirt crawlspace with a layer of barrier material. The insulation in the crawlspace is falling down likely due to moisture and we need to have it replaced. We'd love to have someone come and give a bid on what that would cost/entail. Comment: New home with open concept and hardwood. The sound really carries and makes it hard to hear TV. Comment: This is a 1000 sq. ft. apartment over a 3 car garage that we are building about 3 miles north of Carnation. The dimensions are 42.5' x 26'. Carnation Insulation Contractors are rated 4.78 out of 5 based on 590 reviews of 15 pros. 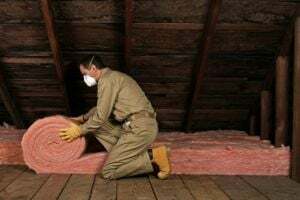 Not Looking for Insulation Contractors in Carnation, WA?